WEBINAR - Tracking public utility dockets across the country is hard. 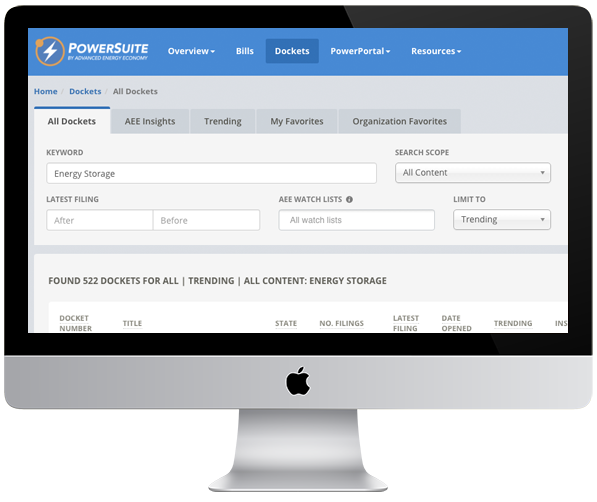 PowerSuite makes it easy! In this webinar AEE’s Vice President of Engineering and Product Development, Eric Fitz, provides a live demonstration of how easy it is to stay on top of public utility dockets across the country with PowerSuite.